Pearled spelt is a tasty and healthy alternative to rice. We remove the outer layer of bran to `pearl’ the grain by bouncing it over rotating stones so during cooking it becomes soft, juicy and flavoursome and a delicious and fibre rich addition to salads, soups and stews. NEW: Now available in packs of 12 - choose this option and you will buy 11 and get 1 free. 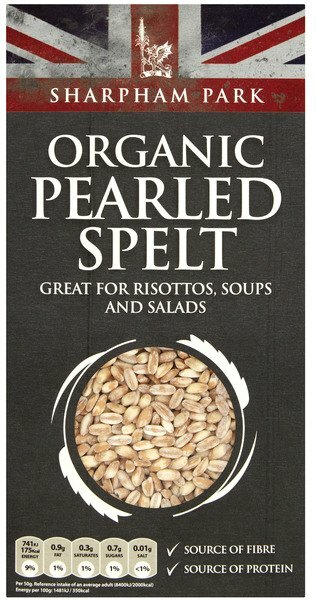 100% pure organic pearled spelt. 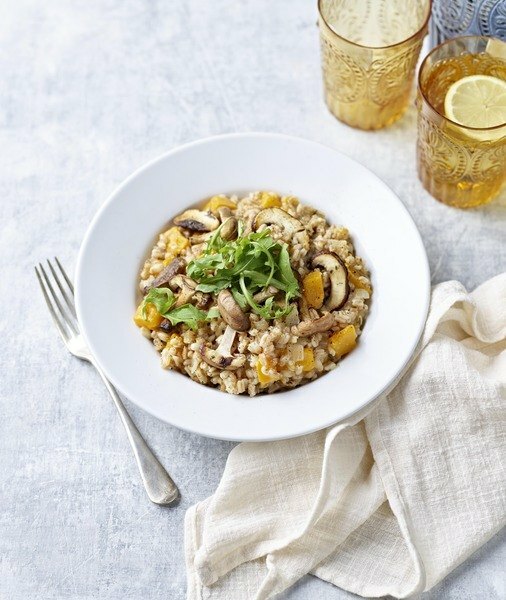 As a rule of thumb, pearled spelt can be cooked exactly like rice. Rinse well and boil for 20minutes, strain and serve or add directly to soups or casseroles.